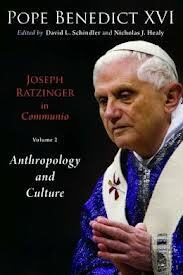 Vatican City, 20 February 2013 (VIS) – Fourteen texts with an anthropological theme written by Joseph Ratzinger between 1972 and 2005 before being elected Pope are being published in the volume "Joseph Ratzinger in Communio: Anthropology and Culture (Michigan/Cambridge, Wm. B. Eerdmans Publishing Co., 2013), edited by David L. Schindler and Nicholas J. Healy. 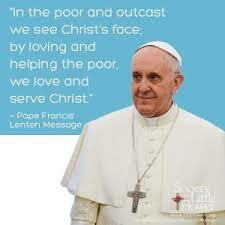 The texts?articles and contributions?address, among others, themes such as humanity between reproduction and creation; Jesus Christ today; the meaning of Sunday; hope, technological security understood as a problem of social ethics; and God in John Paul II's "Crossing the Threshold of Hope". As reported by "L'Osservatore Romano", the connecting theme in the Pope's writings is that they been published or re-edited in the American edition of the international Catholic periodical "Communio". This is the second volume dedicated to Joseph Ratzinger's texts, the first of which, "Joseph Ratzinger in Communio: The Unity of the Church" was released in 2010, and was also edited by David L. Schindler. The plan, as Schindler explains in the introductory note in the second volume, is to republish all of Cardinal Ratzinger's articles that appeared in the American edition of "Communio", from its first edition in 1974. Despite the difficulty in clearly establishing the boundaries of their areas, the writings have been grouped into three major categories: Church, anthropology, and theological renewal. "Communio" is an international journal on theology and culture published quarterly. It was founded in 1972 by various theologians including Hans Urs von Balthasar, Henri de Lubac, Jean-Luc Marion and Joseph Ratzinger himself.